Globally there are over 24 million Internally Displaced People, human beings forced to flee their habitual place of residence yet have crossed no recognized international border. They are not, technically, refugees, and are not afforded the same rights as such under international law. 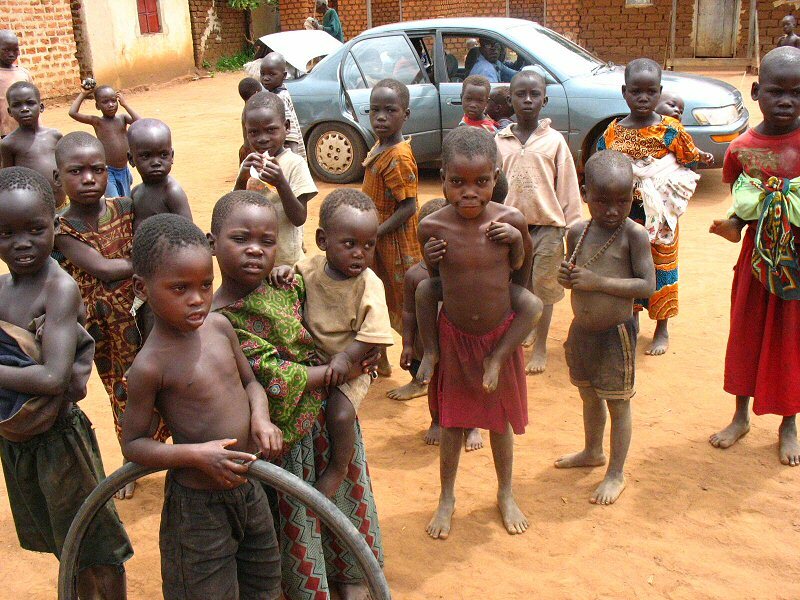 According to the IDMC (Internal Displacement Monitoring Centre) more than 11 million of those IDPs are in Africa. Numbers vary on how many exist in northern Ugandan alone, but in 2006, consensus rested between 1.4 and 2 million people. Lord’s Resistance Army’s (LRA) violent rebel campaign against the Ugandan government of President Yoweri Kaguta Museveni and the President’s haphazard, uncommitted and, sometimes even, draconian response back has left much of the three Acholi districts (Gulu, Pader and Kitgum) in the northwest of the country completely abandoned save for the IDP CAMPS that strategically hug major roads and the outskirts of towns. 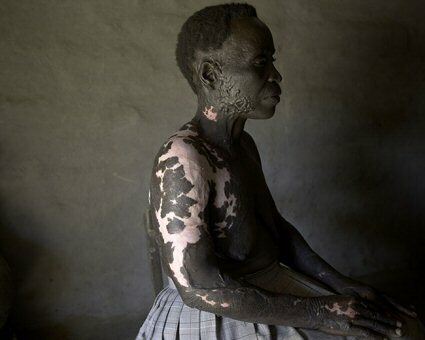 By 1996 – approximately 10 years after the rise of the first Christian/mystic military leaders in the area and 8 years after the appearance of Joseph Kony, leader of the Lord’s Resistance Army who has claimed to be possessed by the spirit of Jesus Christ – the Ugandan military began to forcibly, sometimes violently, displace human beings and relocate them to the camps. It is not uncommon to hear an Acholi voice conspiratorial sentiments. Such as the belief that Uganda’s President Museveni was making a grab for their land or that the president simply wanted to remove the Acholi people from the Ugandan political process by making them, essentially, a homeless tribe. More than once people referred to their homes as “concentration camps” in my presence. However, despite some very questionable behavior by the President (who came to power through violence in 1986), I personally feel that the camps were simply a misguided attempt at anti-insurgency on the part of the Ugandan Military. Part of a long line of feeble policies implemented by a president who, until relatively recently, seemed unconcerned with truly ending the war. 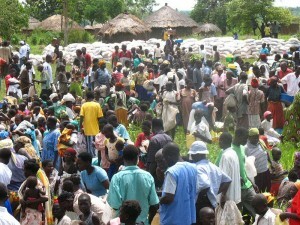 A year later, in 1997, the United Nations World Food Programme (WFP) began delivering food to the camps. 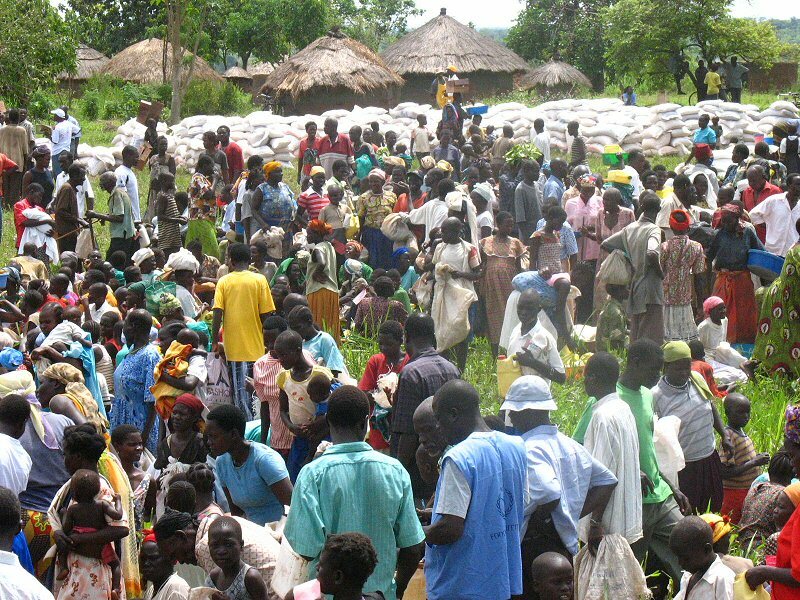 By 2006 more than 80 percent of the Acholi population had been relocated and classified as IDPs. Their land, their traditions, their culture, their progress as a people in a developing world, all compromised by the inhuman living conditions of their new, mass homes. With dense population, poor sanitation, abundance of disease and malnutrition, no clean water, virtually all food coming from relief aid, the common threat of fire and being barely secured by the UPDF (Ugandan Army) the camps represent neither safety nor hope. To attempt to wander off and cultivate land on your own is to run the risk of rebel abduction; or of you, yourself, being identified as a rebel by the UPDF; or of simply stepping on a discarded landmine. But there is good news. In September 2006 a ceasefire was declared after peace talks. 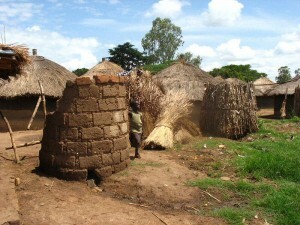 The dampening of the war throughout the peace process has caused Acholi to begin to return to their familial land. 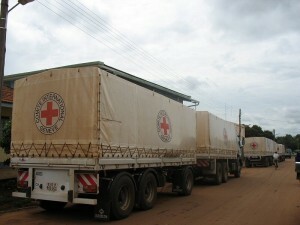 It is estimated that since 2006 more than half the IDPs have left the camps. In May of 2007, however, I still found the camps to be a large, unnerving presence and I was told by one WFP (United Nations World Food Programme) driver that the numbers of those leaving the camps had been inflated by President Museveni’s government who increasingly finds itself on the world stage these days (Uganda was just allowed a temporary seat on the UN Security Council a few weeks ago). Those who do return home, the driver told me, often return to land that is riddled with mines. Since my trip, the peace process has collapsed. Joseph Kony, who seems able to turn the sanity off and on, has reminded us again of his mental volatility by murdering one of his own deputy-leaders (Vincent Otti) and pulling out of the process. At least one case of abduction by the LRA has been reported, literally, within weeks of the printing of our first issue. Whether or not these events reverse the Acholi migration back to the camps and reinstall the northern Ugandan culture of horror that persisted for 20 years is unknown. What is known is that the people want peace. They feel its need in their bones. They want to rebuild. To heal. To put suffering behind them. And one day, when there is no more war on this patch of land… these camps will stand like ghost towns, slowly being swallowed by the sub-Sahara bush. Acholi children at the Koch Goma IDP camp. Those who are not orphaned are left alone in the camps for long stretches of time while their parents strike out looking for work. While the film is a little soft on the condition in the camps it’s still the most positive and expressive work of art to emerge from this conflict. The film is guaranteed to make you cry. Extraordinary photographic essay of life in the camps.